Is this the real future of foldable phones? The new LG Bendi, one possible name for the foldable phone, could beat the Samsung Galaxy X for innovation according to a new document that shows a one-screen wonder. 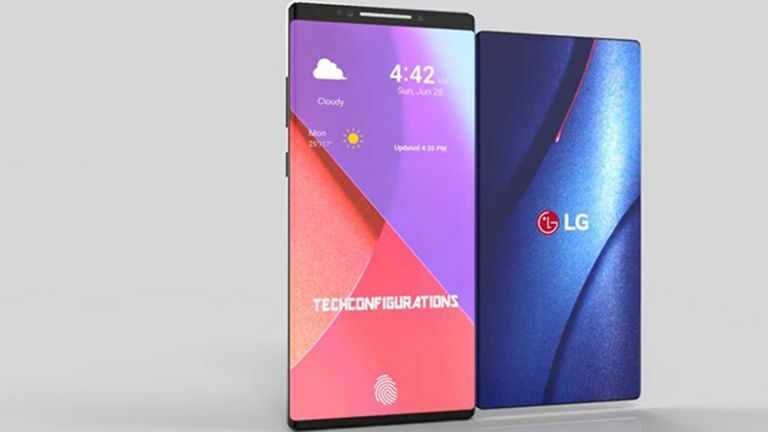 The new foldable LG smartphone has appeared in a patent document that was spotted by letsgodigital. In this document are some images showing what the folding phone could look like. What's really interesting, and apparently unique, is the phone's ability to fold twice. This should mean that unlike the Samsung Galaxy X, which requires one large inner screen and a second outer screen for when folded, the LG won't. The LG phone appears to have one large screen that folds out and back on itself so even when closed there is still some screen exposed. As you can see, the phone appears to fold out into a single tablet screen but also to flip down into a pocket-friendly phone-style form-factor. The elastic nature of the hinge should mean that once folded out the screen remains locked so it won't over-bend. That seems like some great forward planning to avoid another way to crack a phone screen. The patent also shows off some potential uses for the fold, including watching video on the top half of the screen while using controls on the bottom half. Yup, it looks like this will sit half folded up as an option too. When LG will show off its new folding phone is not clear but expect late 2019. LG also hasn't officially revealed a name but lots of documents have been filed for the likes of Bendi, Solid, XF, Flexi, Foldi, Duplex and more.